Posted below is the Community Notice of Crimes Against Humanity/Patriot Act Crimes endorsed and supported by FBI, CIA, and NSA whistleblowers and the US-Europe Joint Investigation Team, a group which investigates crimes involving directed-energy weapons and military neuro/biotechnology, published earlier on this site at Flyers for Public Education. Please download this document for use as a flyer in pdf format here. Given that these Crimes Against Humanity are occurring nationwide and worldwide, please download this document in doc format here and replace place-names in the header with your own place-names as appropriate and relevant. (Note: To use this flyer with the named endorsements, please ONLY change place-names as relevant, and no other text, thanks.) Please feel free to re-post and re-publish this Notice on your own websites with linkback. This notice is being published to raise public awareness, to educate the American and world public, and to inform local communities and neighborhoods. The information in this flyer is not speculative and is fully backed up by the sourced, cumulative investigative reportage at this site (and elsewhere), and follows on recent informative interviews in print and audio with FBI, CIA, and NSA whistleblowers published here at The Everyday Concerned Citizen as well as at YouTube/Ramola D Reports. Human rights advocates and organizations, investigative journalists, scientists, whistleblowers, ethicists, and concerned American and world citizens are encouraged to step forward to openly support this Community Notice as the global human rights and bioethical movement to expose and end these pernicious and extreme 21st-century Crimes Against Humanity daily expands. Please email to endorse. This notice is also supported by the 28 August 2017 Notice of Crimes Against Humanity Using Energy and Neuro/Bio Weapons citing Article 7 of the Rome Statute of the 1998 International Criminal Court, published here earlier. Please print and distribute widely. These programs are extrajudicial COINTELPRO Character-Assassination, Mutilation, Destruction, Blacklisting, Life-Sabotage, Torture, and Murder campaigns, intending to fully destroy the lives of outstanding community activists, journalists, writers, teachers, professors, whistleblowers, and civic-minded citizens. Thousands of Americans are being destroyed like this by the FBI/CIA/DHS. PATRIOT ACT CRIMES AGAINST HUMANITY ARE BEING CONCEALED BY COLLUDING DOCTORS LABELING & DISCREDITING REPORTING VICTIMS AS PARANOID, SCHIZOID, AND DELUSIONAL. As a slew of analysts dive in to interpret the now-revealed FISA memo, unearthing evidence of top-level FBI/DOJ corruption and connivance in striving to frame then-Presidential nominee Trump and keep him from the White House via allegations of treason and fabrication of a Russian dossier, enlightened Americans who care about the Constitution and lost American freedoms and rights wait for disclosure of the actual nature and depth of the Surveillance Abuse being committed by the Deep State on Americans and civilians worldwide. Many know at this point—despite the lies and cover-ups of corporate Weaponized Media–that Surveillance Abuse rampant in the US and worldwide currently is about a lot more than spying on emails and phonecalls, but involves Weaponized Spying with deadly Electronic Warfare weapons—that is, electromagnetic, sonic, scalar neuroweapons—running “Electronic Surveillance” on civilians. 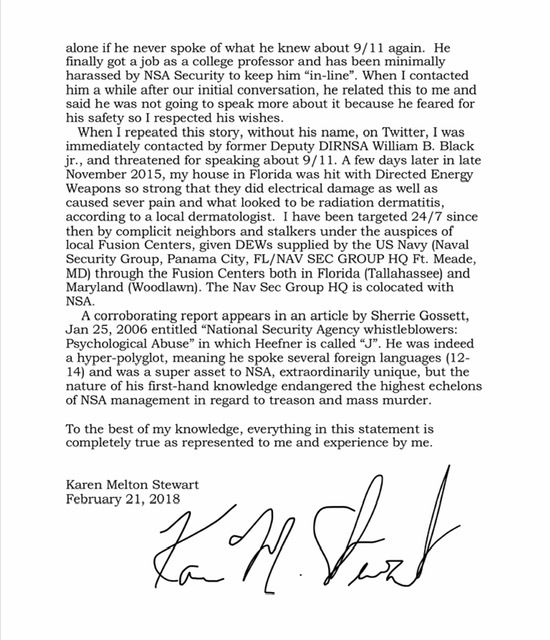 Today, Karen Melton-Stewart has released this informational #BiggerthanReleaseTheMemo flyer (below) on the DHS Terrorist Watchlist Scam to inform Americans that the revelations of the Nunes FISA memo are far surpassed by the crimes of wrongful identification of thousands, if not millions of innocent Americans as terrorists over the past seventeen years since 9/11, as billions of dollars have been funneled into the Surveillance industry, the Defense/Intelligence/Corporate complex, and into the creation and maintenance of the vast and Nazi-esque Department of Homeland Security. Please download the pdf of this flyer here, and blanket your neighborhood with copies. VICTIMS END UP WRONGFULLY MURDERED, INCARCERATED, OR COMMITTED. The ways and means by which the Deep State—with its treasonous Globalist tentacles on the ground in the USA– has pulled off the wrongful targeting and neutralizing of innocent Americans while trafficking them into deadly military experimentation projects involving the non-stop use of carcinogenic, mutagenic, physically destructive and brain-invasive telemetry and radiation weapons the DOD purposively mislabels as “non-lethal” was explored here earlier at Real Talk True Media in two conversations with whistleblowers Midge Mathis and Karen Stewart. The use of cover corporations and concealment of the targeting and trafficking operations being run by a conglomerate of Intel and corporate partners is still being explored by this team of whistleblowers and researchers. No doubt taking the secretive fusion center world by storm and fully intending to disrupt comfortable lives of corruption in masonic Mil/Intel circles where Americans and Europeans are clearly being human-trafficked into New Age DOD/USAF/Navy/Other directed-energy weapons testing projects and various abusive non-consensual human experimentation neurotech/AI projects which essentially constitute Crimes Against Humanity, the Techno Crime Fighters Forum team blazed onto the scene a scant year ago. A group of five whistleblowers originally led by Dr. Paul Marko and Mindy Urken of World Beyond Belief at his PineConeUtopia Youtube channel and currently broadcasting live at Ramola D Reports, Techno Crime Fighters Forum continues to speak openly about the horrors of this wrongful targeting, trafficking, and calculated assault and battery worldwide with EMF neuroweapons, covert Mil/Intel/corporate implantation, and unconscionable irradiation from cell towers, antennas, satellites, concealed microwave emitters in parked cars, garden equipment, and utility equipment. Techno Crime Fighters Forum released its 46th episode last week, focusing on Surveillance Abuse beyond the Nunes memo, and framing this assault on humanity within the context of the UN’s Agenda 21 and their continued, transhumanizing attempted takeover of humanity. Over this past year of running this show weekly, organizational psychologist and researcher Dr. Paul Marko, video producer Mindy Urken, particle physicist Dr. Katherine Horton, pastor and counselor Dr. Millicent Black, NSA whistleblower Karen Melton-Stewart, and this writer have been contacted by and informed of the targeting and surveillance abuse experiences of numerous civilians and veterans in various states of the USA and countries of the world. 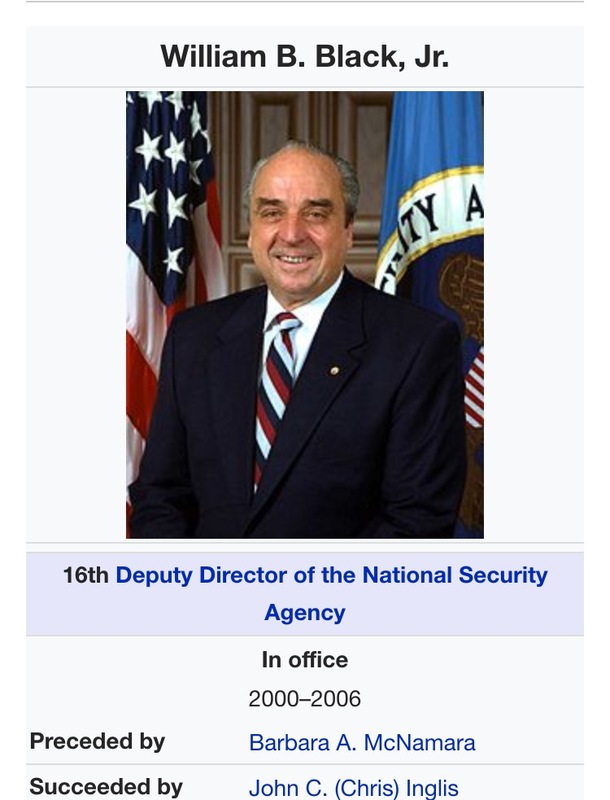 Several have joined in providing research, donations, and informational assistance behind the scenes, and several continue to connect and communicate on social media in hopes of bringing these treasonous Deep State abuses fully to light and redressal. In last week’s episode, Karen Stewart discussed the choice currently facing all Americans: whether to keel over and comply with Deep State takeover of neighborhoods demanding Stasi-like co-operation in the harassment, persecution, weapon assault and trafficking of other Americans—in which they’ve now been well-trained by anti-American Neighborhood Watch groups posing ironically as “Patriots”–or find some core American values of morality, ethicality, spine, and integrity within their souls and say No to these amoral assaults. Dr. Marko discussed the part that humanity plays in suppressing humanity and pointed to ways in which people could begin to free themselves from the enslavement imposed by corporations and agencies in co-opting people to act against others. 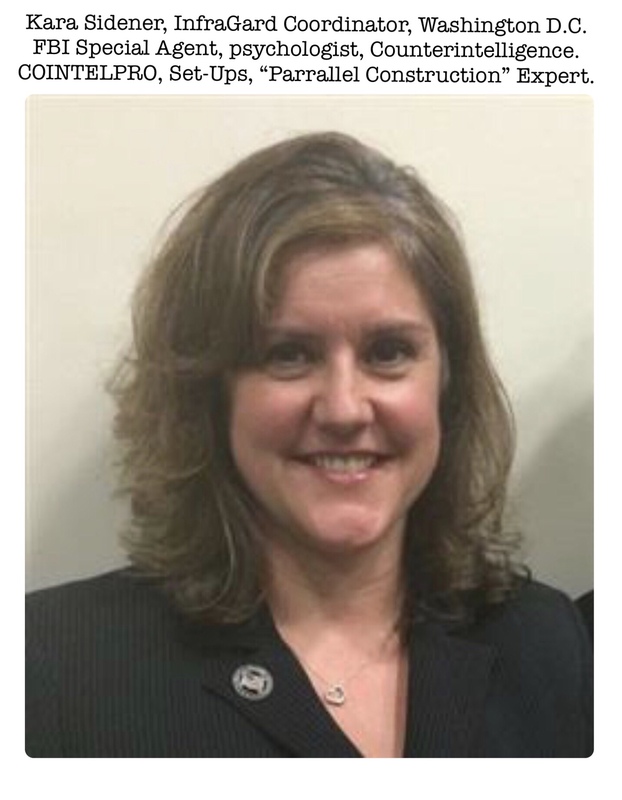 Dr. Horton, who joined the conversation later, relayed her success in presenting expert witness and testimony at a cornerstone case in Europe where the use of electromagnetic weapons on civilians was publicly discussed in court. 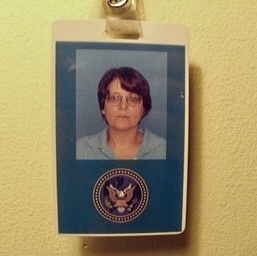 This writer pointed to recent podcasts, including one with journalist Suzie Dawson (below) who is perusing the previously-released Snowden NSA documents and finding important information within them, including notice of the international agreements NSA has with other countries to use their satellites and hardware for surveillance, and of NSA customer bosses which include the Federal Reserve and the State Department. It’s a fact that despite corporate media seeking to deny, dismiss, and discredit the clandestine use of electromagnetic weapons, sonic weapons, neurotechnology and nanotechnology effecting brain invasion and brain interference, all this exotic but quite rolled-out-already and unethical neurotech–V2K or Voice to Skull, microwave hearing, Synthetic Telepathy, BCI-CBI systems, EEG Cloning, EEG Heterodyning, Bio-Robotizing, Forced Speech, Thought Injection/Insertion, Mood and Emotion Modification, Synthetic Dreams, RHIC-EDOM—remote hypnotic intra-cerebral control and electronic dissolution of memory—and other sources and methods of destroying and invading brains and bodies, once secretly raveled under MK ULTRA and other black-ops Intel programs, is increasingly being revealed by a few persistent whistleblowers and voices. 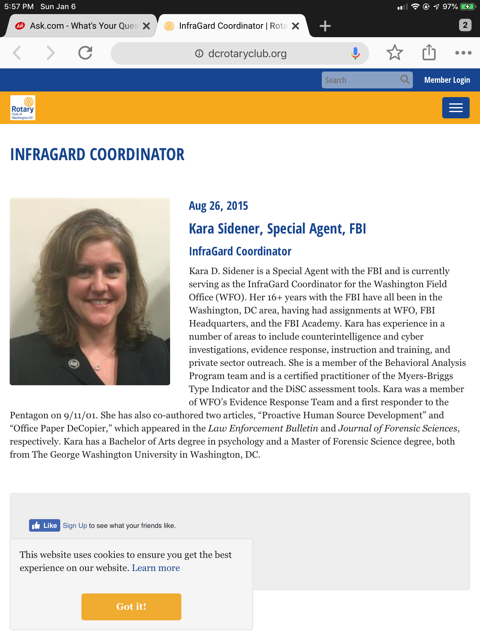 The DHS, FBI and the military/Intel complex seeks to suppress the witness of reporting victims–”Targeted Individuals”–with defamation and slander campaigns in neighborhoods, as Karen Stewart describes above. Interestingly enough, those targeted are often ethical citizens who speak out against corruption and crime: in other words, their whistleblowing and activism has led to them being targeted by criminals in government with apparently globalist totalitarian aims. Military Psy Ops, Joint Doctrines and Journals of Trickery and Deception, Clandestine Ops, and bizarre Executive Orders from former US President Barack Obama permitting the Military to run Psy Ops and Behavioral Research on Americans have permitted the treasonous, money-grubbing lot in the military/Intelligence/corporate complex to run Psychological Warfare ops in CONUS—the Continental United States of America—in addition to Electronic Warfare, Cyber Warfare, Information Warfare, and Asymmetric Warfare. Deep State Treason, anyone? Two recent podcasts, Report # 46 with Dr. Eric Karlstrom on decoding Agenda 21 and Report # 47 with Drs. Horton and Marko on the Crown Corporation, the Vatican, and corporations in general explore the various species of psychopath running these deadly takeover operations on the rest of us. Ultimately, a new Globalist Communist “Transformation” is underway, and Americans who give in to the Deep State in neighborhoods are Americans who are helping the Deep State take down America for good. Where do we each stand? 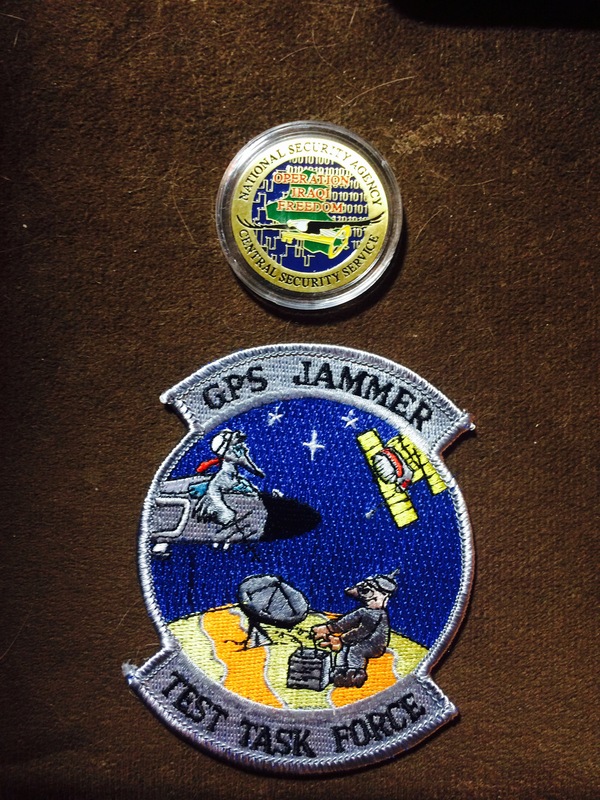 Please tune in Thursday mornings 11 am Eastern Time for more disclosures, and subscribe/check in to the podcasts being released on an ongoing basis at Ramola D Reports to understand the true depth and breadth, magnitude and atrocity of the Deep State’s—and your co-opted neighbors’–Surveillance Abuse of innocent and commendable Americans as well as Europeans, Australians, Asians, Africans today. Please share this post widely. Yesterday, September 2, in the Three Days of Grace following September 1— the “Time of Resurrection” in the Year of Golden Jubilee— the actual States recorded Non-UCC liens against the bankrupt “State of_______________” organizations. Those of you who have read “You Know Something Is Wrong When….An American Affidavit of Probable Cause” already know that a mostly foreign-owned corporate entity was formed under the agreements (treaties) ending the Revolutionary War and setting up the original “Constitution”. The first company formed to “provide essential government services” under this arrangement was The United States (Trading Company) formed by a consortium of old colonial investment companies under the leadership of The Virginia Company. These mostly-British companies continued to provide the nineteen enumerated services stipulated in The Constitution for the united States of America until 1863 when this first version of “United States” was bankrupted by Lincoln. The next corporate actor on the stage was The United States of America, born 1868. It took over as the service provider at the federal level in that year and published its corporate charter as the look-alike, sound-alike “constitution” called The Constitution of the United States of America. This corporation was bankrupted and bought out by creditors in 1907 by a consortium of mostly-European banks calling itself “the Federal Reserve” which operated under the name “the United States of America” and the Constitution of the United States of America. In 1933, FDR bankrupted the United States of America (Inc.) and all the “State of__________” franchisees “pledged” the “good faith and credit of their states and citizens thereof”. Millions upon millions of Americans were falsely presumed to be acting as “United States citizens” and were “attached” as sureties responsible for paying off the debts of this private, mostly foreign-owned corporation from 1933-1999. Meantime, other service providers were named as successors to the service contract, and in 1944, the UNITED STATES (INC.) fronted by the International Monetary Fund, a French-chartered international banking cartel, began operations on our shores and opened up fifty STATE franchises. These “STATE OF_____” franchises have created a multitude of Cestui Que Vie trusts named after living Americans and also “International Organizations” named after living Americans and used these as a means to attach and seize upon our assets—- our names, our patents, our copyrights, our land, our homes, our businesses, our very bodies— have been mischaracterized and our identities have been stolen so as to promote fraud and false claims in commerce against us. In comments made July 4, 2016, President Obama expressed the hope that the Republic would finally prove to be “dead”. Yesterday we proved that rumors of the Republic’s death have been greatly exaggerated. With the UNITED STATES, INC. under liquidation and THE UNITED STATES OF AMERICA, INC. under Chapter 11, the federal side of the original equity contract was “vacated” last year, leaving international trustees — the United Nations— in charge. We protested and made new arrangements for new federal service providers, establishing new Sovereign Letters Patent and issuing a new Declaration of Joint Sovereignty, naming the Native American Nations our international agents for the American States. This countered any claim that we were not internationally represented and also kept the original Constitution in full force and effect. The entire aim of the IMF and the FEDERAL RESERVE and numerous other banking interests has been first to defraud and mischaracterize Americans as “United States Citizens” and/or “citizens of the United States” which most of us have never been, tax us and coerce us and charge us under false pretenses, and finally, at the end of the day, mount a “claim on abandonment”—– say that our States of the Union no longer exist, that we all agreed to give them everything in sight, voluntarily, in exchange for “benefits” that we also agreed to pay for. Sideshow Shinola. Malarkey. Fraud. Attempted Identity Theft of our entire nation. But yesterday, we supposedly “dead” States of America — the actual States owed the land jurisdiction of this country and every piece of dirt and stick of wood and block of cement standing upon the soil— issued our counterclaim and liened the rats and their trustees up the wazoo. You may use the attached list of States and file reference numbers to look up the Non-UCC Lien filed for your State of the Union. You will notice that I am named as the Executor. This is because each Constitution is a Will and it requires an Executor to execute and enforce it. As Priority Creditors, we are claiming the land jurisdiction and assets we are owed and which are insured and must be held harmless from any bankruptcy or liquidation of the “federal” service providers. The Remainder-man States on the land which were released from bankruptcy in 1999 have been re-populated by the grandsons of men who were in turn “grandfathered” into the protections of the original Constitution. 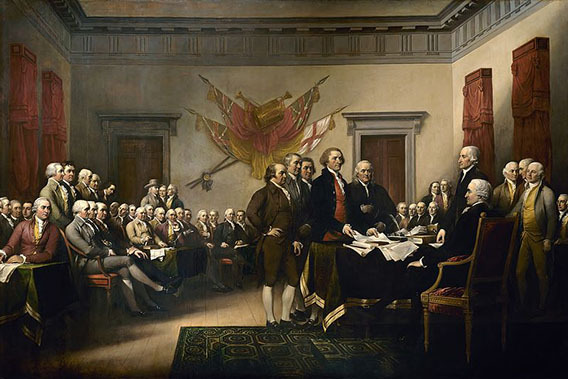 Each one of these men has formally expatriated from any presumption of “United States Citizenship” or being a “citizen of the United States”. We are not going to endure another round of fraudulent involvement in foreign corporate bankruptcies. We are not going to put up with having foreign commercial mercenary armies operating under color of law on our soil. We are not assuming any debts or paying for any services beyond those which our states actually ordered. And no, we don’t care what happens to the “Federal Reserve” or the “IMF” or the “World Bank” or the “IBRD” or any of these other criminal banking cartels. We and our States of the Union are not their sureties, not their “citizens” and not their chattel. We are their erstwhile employers, who have been grossly misrepresented, mischaracterized, and defrauded by our own employees. It is time for this whole con job to end, the odious debts to be discharged, and all Americans to seize back their true identities. The banking cartels were formed as corporations in order to avoid accountability for their actions. They have breached their charters and breached the public trust and operated as criminal cartels involved in inland piracy, racketeering, unlawful conversion, enslavement, human trafficking, gross fraud based on semantic deceit and more. These institutions deserve to go down in infamy, to be routed out, exposed, and liquidated for the benefit of humanity. The media and education monopolies which have played footsie with these false “governments” need to be broken up and their assets sold off to American —not foreign interests. Only fools or traitors let foreigners establish monopolies and issue private scripts instead of public money. Only fools or traitors allow foreign corporations to dominate the American airwaves and buy up all the American newspapers, television and radio outlets. Only fools or traitors allow foreign corporations to control public education in America and dominate our universities. Only fools or traitors allow our public courts to be replaced with private courts operating as bill collectors for these same banks and corporations. What all this adds up to is an attempt by certain parties to return to the days of Feudalism, supported by a virulent form of Commercial Colonialism and criminality that has pillaged humanity since before the Flood. Now you finally have the chance to recognize it for what it is and put an end to it. Re-posted from Facebook, with many thanks to Judge Anna von Reitz, who offers below, with preface, a Judicial Notice of Fraud and Violation/Immediate Order to Cease and Desist, that she recommends we distribute widely to courts to end the corporate enslavement of people described here in her earlier posts and elsewhere online. Update 5/29: This is the link to the signed pdf Notice, labeled Hague Notice of Fraud, Order to Cease and Desist on Judge Anna’s website. Note from Judge Anna: Please assist in the distribution of this Judicial Notice and Order by making sure that the Administrators, Clerks, and Judges of your local organizations receive copies of it. The signed pdf version will be available on my website www.annavonreitz.com. Thank you for taking action and objecting to this deplorable enslavement of people here and throughout the world by corrupt politicians, bankers, and some members of the Bar. Last night all Hell broke loose— but in a good sense. For many years people have sought to determine the source, meaning, and implications of the use of all capital letter naming conventions. Why should such a name as “JOHN HENRY DOE” exist? How is it different from “John Henry Doe”? Or “john henry doe” for that matter? I have researched it and written memorandums on the results that show that the use of these different “stiles” were used in Ancient Roman Civil Law as a means of distinguishing between free men, bondservants, and slaves, with the “john henry doe” stile indicating a free man, and “John Henry Doe” indicating a bondservant, and “JOHN HENRY DOE” indicating a slave. The implications of this ancient history taken together with the circumstance surrounding the end of the Civil War (with millions of freed slaves representing “abandoned property” at least to some criminally minded members of the Congress) and the adoption of the 14th Amendment to the Corporate “Constitution” in 1868 and “corporate citizenship” with it—– are obvious without a degree in rocket science. And now, thanks to friends and fellow researchers in Australia we have the nails to this coffin and are enabled to issue the attached Judicial Notice of Fraud and Violation and Order to Cease and Desist. It is perhaps most fitting that this comes on the eve of the Memorial Day Weekend, when we remember all the good men and women who have fought and died for freedom, and our obligations to them to make sure that freedom for all men and women is secured against the schemes and crimes of perpetrators both foreign and domestic. God bless you all and may you be assured that your cause is just and your vision righteous as you continue the work of restoring America and putting an end to the crimes and the breaches of trust that have plagued the entire world. [Example:] GLOSSA VIPERINA EST QUAE CORRODIT VISCERA TEXTUS. 11 Coke, 34. It is a poisonous gloss which corrupts the essence of the text. The use of the above described language convention invalidates by fraud every contract and every court proceeding that has been addressed via its employment in America and elsewhere for the past century and a half. All such proceedings employing this form of text at any point in their process and all resulting judgments are null and void, ab initio, for cause. All courts of all kinds, public and private, judicial and administrative, military, civilian and national existing within the borders of the organic states of the Union or operating upon American soil in any capacity whatsoever are hereby given Public Notice and Ordered to Cease and Desist the use of these fraudulent conventions immediately and to void all decisions tainted by its use. By my hand: ______________________________ Judge Anna Maria Riezinger, non-negotiable, all rights reserved, for, by, and on the record of the Alaska State Superior Court. 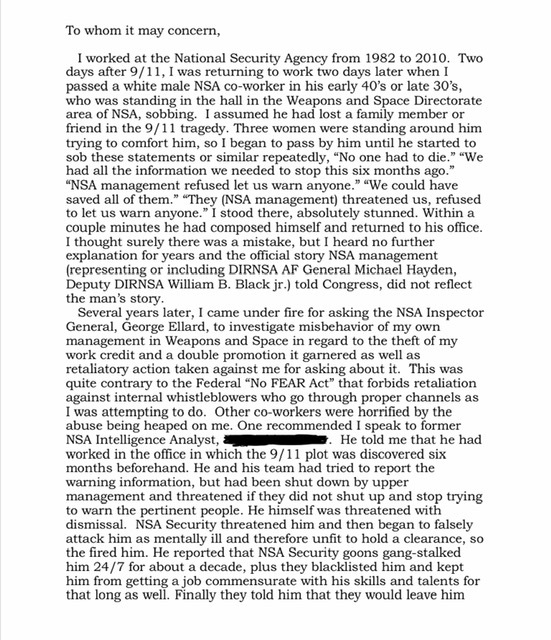 Update 5/30: Opening paragraph of the statement below revised to include awareness of involvement of former President Bush, and the CIA’s MK ULTRA. Concerned or affected Americans who would like to add their names to the statement below are invited to leave a comment with their names. All names will be added to this statement on an ongoing basis. Updates to this letter project will be posted. In response to my own unfathomable targeting for not only no just or legal cause, but for evil, psychotic reasons by those clearly employed by and acting on behalf of the National Security Agency, I began researching organized stalking and electronic harassment and found that it led to the sinister workings of a shadow government usurping our own by obvious design and long term planning, and covertly harming more people than I could ever have imagined; one which not only blatantly ignores the Constitution, but sees American citizens as “things” that it owns and can do with as it pleases, a government infused with those from private industry who knowingly and singularly serve profit interests above those of our country and certainly our citizens, while laboring furiously to gut every protection we have, simultaneously propping up a gangrenous and dying vestige of our Constitutional Republic, hoping no one will notice until it is too late. I feel that now is the time to present this letter, with as many signatories as possible, to as many in authority or of influence we can find, who still care about America, and are the philosophical and moral progeny of our Founding Fathers – men and women of conscience and courage who will fight the real enemy within. Under former President Bush and now continued under President Obama, what apparently started decades ago as illegal and clandestine programs of experiments on human subjects, such as the CIA’s MK ULTRA, has resulted in the proliferation of Defense Contractors such as Lockheed Martin, Raytheon, General Dynamics, and others, making secret agreements with Federal agencies such as DOD, DIA, NSA, DHS, etc., to allow them and related laboratories and universities to expand inhumane experimentation programs such as illegal experiments for Directed Energy Weapons on unwitting and non-consenting American citizens. The scam goes like this, random people, or people who are dissidents or whistleblowers are purposely mislabeled as “terrorists” and put on an Enemies List, which is then turned over to Defense Contractors to target under perverted interpretations of NDAA and PAA. This allows them to engage the Military and Law Enforcement in either the active harassment and torture of individuals illegally targeted for fraudulent cause, or it gives the Defense Contractors carte blanche to commit criminal assault upon innocent citizens while demanding (unconstitutionally) that Police stand down and do nothing to help their victims. Police are even used as liaisons to citizen vigilante groups like Infragard, or other “civic minded” organizations who are lied to about the target (being a terrorist/traitor/criminal) and enticed/paid to stalk and harass them 24/7. Police are even used as liaisons to actual criminal groups used by Feds and contractors for the blatantly criminal activity such as vandalism, pet poisoning, assaults, to actual usage of mobile Directed Energy Weapons (DEWs) against innocent civilian targets to harm or kill them. Civilians are paid to serve as proxies to give Feds and contractors “plausible deniability”. Police are paid to look the other way, either with cash bribes or “police toys”. 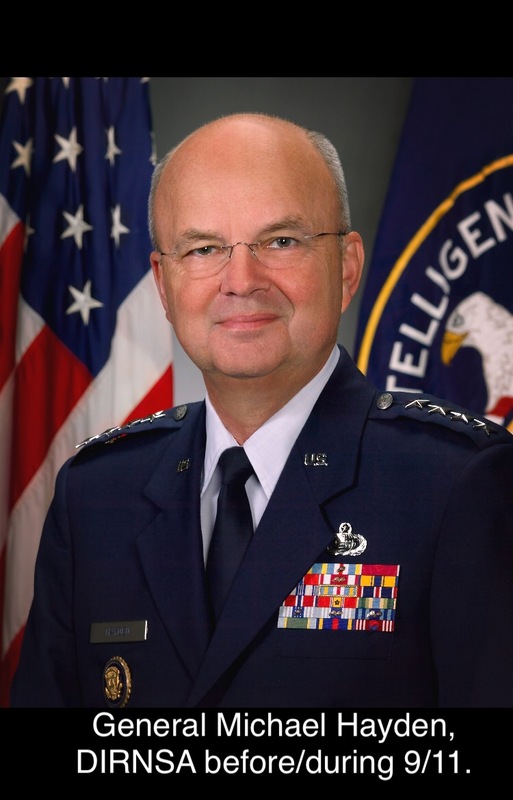 Many Federal managers, such as retired NSA Deputy Director Bill Black Jr., are even secretly investing in this DEW weaponry that they are helping develop through the torture of American citizens falsely labeled as terrorists to strip them of their Constitutional and Civil Rights. We, listed below, are some of many who are being victimized by faux President Obama’s complete corruption of the Federal Government into an enemy of the real America and its real citizens. If America does not wake up, it is finished as a nation. Update 6/10: Scope expanded to include international signers. To add your name/information in the format above, please leave a brief note in Comments, below. Due to increasing spam, not all comments can be published. Please mention explicitly that you wish your name to be added, along with your citizenship, location (state/country) –and occupation, if you wish. To share any other information, please contact by email: ecc@nym.hush.com; new page to post all testimonials will be posted shortly. Thanks. Update 7/18: Some related posts below.